Anti-Obama Sign Torched In Nearby Cotuit. A crime that took place just down the road a bit could easily work into Bourne. Someone took it upon themselves to limit another man's right to free speech in Cotuit last night, and performed an act of arson upon a politically-themed sign in someone's yard. A house off Santuit-Newton Road and Route 28 has been displaying prominent signs speaking out against the President for some time now. The guy living there actually makes and sells/gives away the signs (he sells them, but his politics are such that I'd bet he would give you a sign if you felt strongly enough and could show some financial need), from a home-based business. If you're not familiar with the man, he's the one with the poster of Calvin urinating on Obama, sort of like this one. That sign wasn't the one to suffer the arson, I'm told. Now, you and I may feel one way or another about our President, Barack Obama. You may think that Obama roams the countryside on nights when the full moon shines over the cranberry bogs, stealing millionaire babies and sacrificing them to unspeakable gods with Mexican Islamic terrorists. You may think that Barry is doing a fine job, and whoever speaks out against him is a Klansman militia dummy who is a foreclosure notice away from shooting up a high school. Either way, it is the opinion of this column that you should probably rein in your expression of political opinions somewhere before "heading to your neighbor's yard with a torch." The police are looking into it, and hopefully will rid the streets of the arsonist. They did find traces of fuel around the fire, and they also found footprints heading away from it. There was a camera aimed at the sign (the man has suffered vandalism in the past), but it was covered with snow from Saturday's blizzard and didn't catch the villain. If this guy didn't do it himself as a publicity stunt or as a make-my-paranoia-true episode, I hope he catches the people responsible and kicks their posterior a good quarter mile down Santuit Road. I'd do it myself if I caught the arsonist, and I'm liberal. The dude's family is in that house, and no political opinion is worth the worst-case scenario of the fire spreading there. 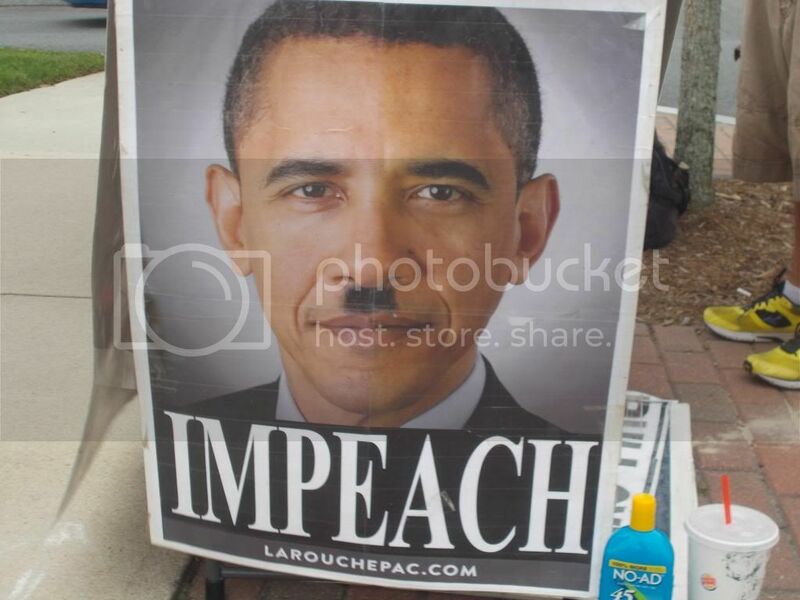 If you need an anti-Obama sign, check out the guy's website. $40 will get you a good hate-Barry lawn decoration. 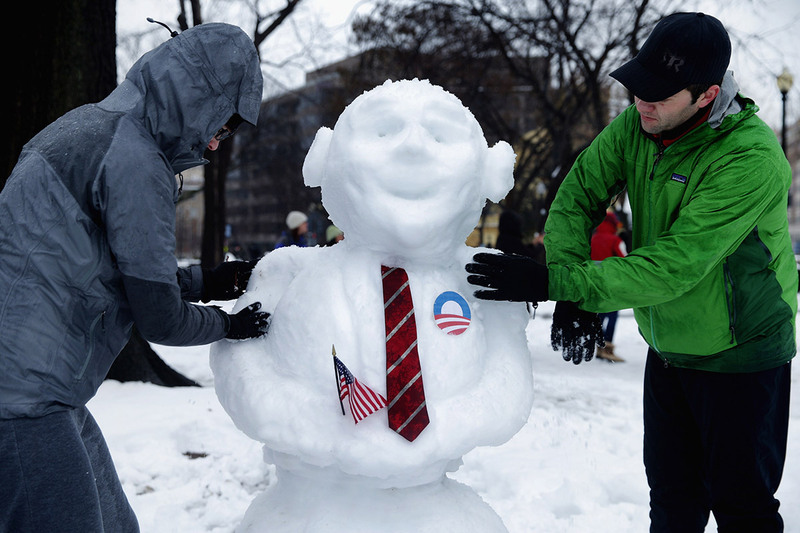 I prefer the SnObama myself, but you may feel more strongly one way or the other. We've had anti-Obama sign action in Bourne, too. 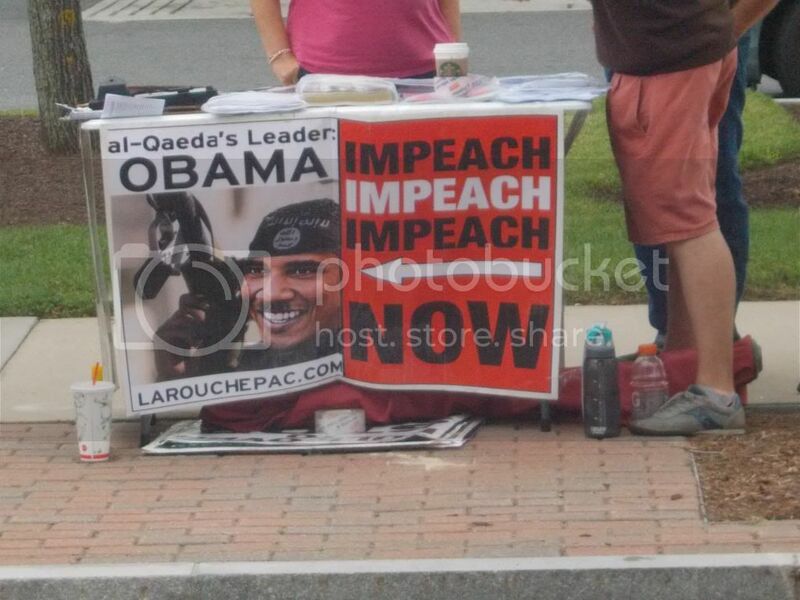 The signs pictured here are from a Bourne anti-Obama demonstration, and I don't think they are the signs sold by the arson victim.